William Penn primary school children counting neckties for the Guinness World Record attempt to wear the most neckties. 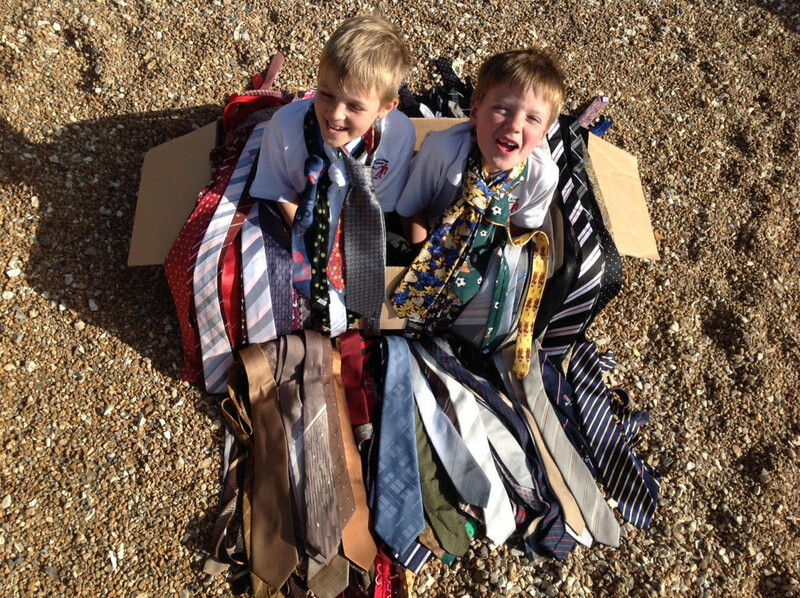 Horsham families are in for a summer half term treat, a free family tietastic Guinness World Record event in the Human Nature Garden in Horsham Park! 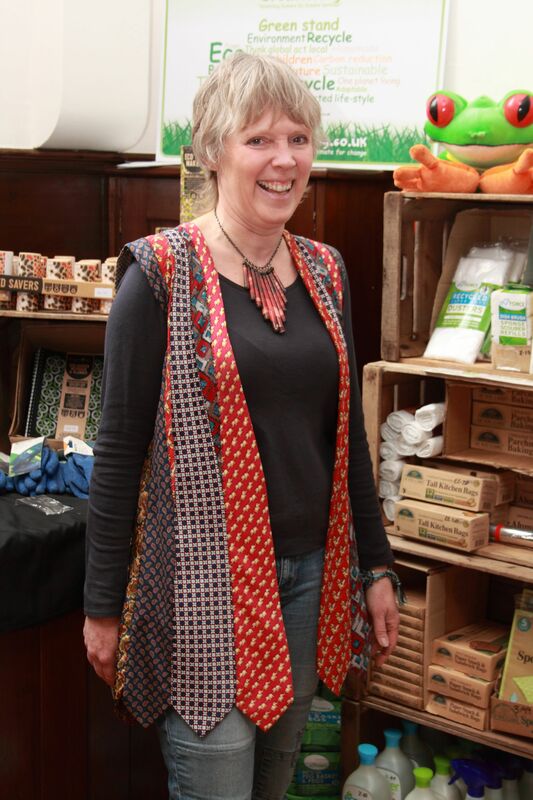 Carrie Cort founder of Sussex Green Living has got together with the organisers of the Horsham Circle of Life Festival to lay on a fun action packed free green event. During the afternoon Carrie Cort from Sussex Green Living, will be attempting to beat the current Guinness World Record of wearing more than 260 ties. Families are invited to bring a tie or lots of ties, which people can donate, or label and take them home at the end of the event. This is a free event, but Carrie would like to invite voluntary donations for the William Penn Primary School in Coolham, which urgently needs funds to carry out some building work to replace a temporary portacabin which has been in long term use but is at the end of its life. There will be a number of William Penn primary school pupils helping at the event, people will be invited to give a small donation if they wish. 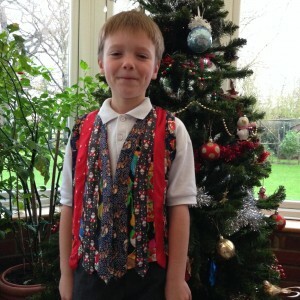 Carrie wearing waistcoat of many ties! This Guinness World Record aims to highlight the reuse of neckties in a fun and creative way. Carrie explains “Neckties are a bit of an environmental nightmare, novelty ties get bought for people who might use them once or twice, charity shops don’t want them as they don’t sell well and if sent for recycling they often get caught up in the recycling machinery and cause expensive damage. Upcycling or reuse is best”. This event includes lot of fun games where families will learn about the 3 Rs – Reduce, Reuse and Recycle, there will be a Battle of the Eco Warrior (recycling race), school teams are welcome. There will also be a mini fashion show of upcycled or remade clothing, accessories and bags, using lots of ties, followed by our Guinness World Record attempt. The WSCC Waste Prevention Team will be on hand to talk to the public and Ron will be playing the guitar and singing lots of ‘rubbish songs’. A thought provoking ceremony will be led by Interfaith minister Trish Norman, to honour our planet Earth and all its rich gifts. Carrie says “I invite the children to bring any unwanted DVDs or books to our swap shop – bring one and take one, there will be a textile recycling point where people can contribute unwanted textiles which will be recycled through the local charity Bags of Support”. This event is part of the week-long Horsham Circle of Life Festival founded by Horsham Interfaith minister Jean Francis. Many of the events are free and aim to enrich the heart of our community and bring people together to celebrate life. Carrie is organising another event during the festival on Wednesday 1st June in celebration of our teenagers and the planet. It’s a teenage textile creative upcycling workshop. You can learn more about the festival and view the full programme of events here. 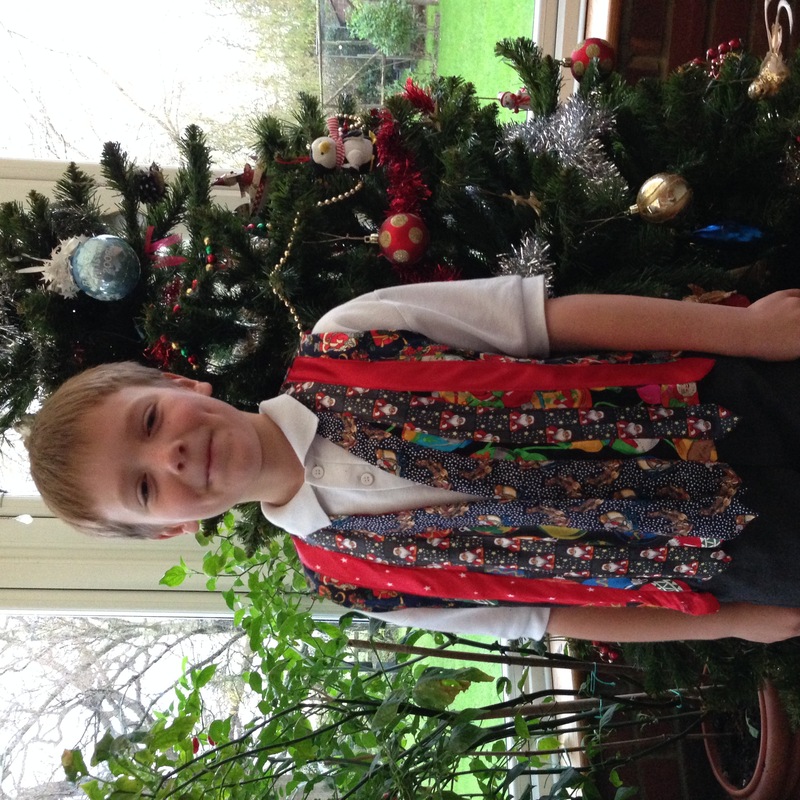 Adam wearing a tie upcycled waistcoat. Learn more about the Green Play and Display event and the Teenage Textile Creations – Upcycling Workshop here. If people would like to donate textiles and or ties but they are not attending the event they can put them in the Sussex Greener Living branded recycling bin at the Quaker Meeting House, Worthing Road, Horsham (opposite Sainsburys) or in the William Penn School playground bin, Brooks Green Road, Coolham, Horsham, West Sussex, RH13 8GR. 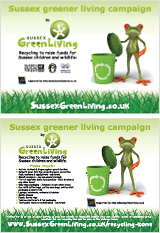 If you are interested in receiving a press release and images or discussing this event in more detail, please contact Carrie on 07768 212833 or cort@sussexgreenliving.co.uk. This entry was posted in Children & nature, Events, Green art & games, Green stats, facts & news, Recycling facts. Bookmark the permalink.